First of all: I don't know how you're reading this, since everyone and their dog is currently walking the streets, plumbing their toilets, or ignoring their wives giving birth in search of Pokemon. But if you're a Pokemon Go player wondering how you can catch the iconic Pikachu, there's a secret, easy method that's been discovered. Even better? 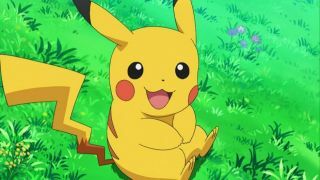 Pikachu can be your first Pokemon, making you just like immortal 10-year old, Ash Ketchum. All you have to do is break the hearts of the three Pokemon the game seemingly wants you to catch. Oh. See, after you create your character, you're dropped onto the Pokemon Go map, with Bulbasaur, Squirtle, and Charmander all within prime catching distance. But if you ignore them by walking far enough way that they respawn - and do this four times - Pikachu will then appear alongside the usual starters. You'll have to walk a fair distance, so set aside some time and put on comfortable shoes if you plan on hunting for the electric mouse. And for those of you who've already started your journey as a Pokemon trainer and don't want to create a new account, don't worry - Pikachu can also be found in the wild, as can Charmander, Squirtle, and Bulbasaur. Just watch out for any couples with bright-colored hair and a talking cat. >> Download: Pokémon GO - Niantic, Inc.